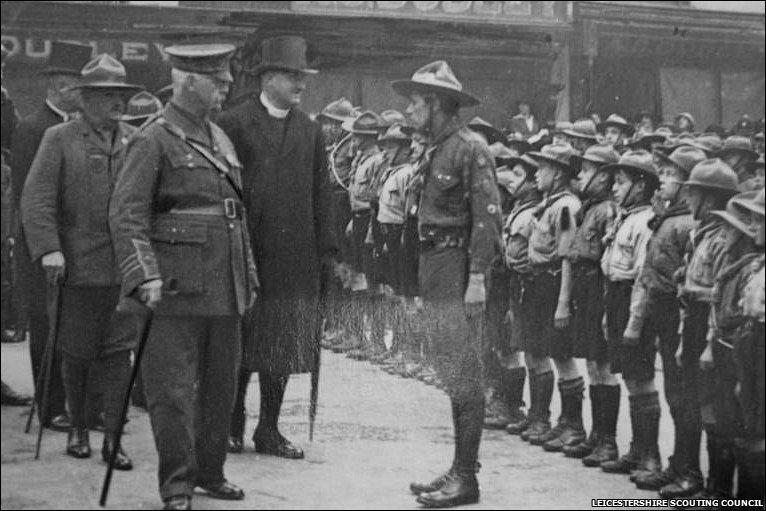 By 1914 Robert Baden-Powell’s Scout Movement had been in existence for six years. Its popularity had spread not only in Britain but across the world. 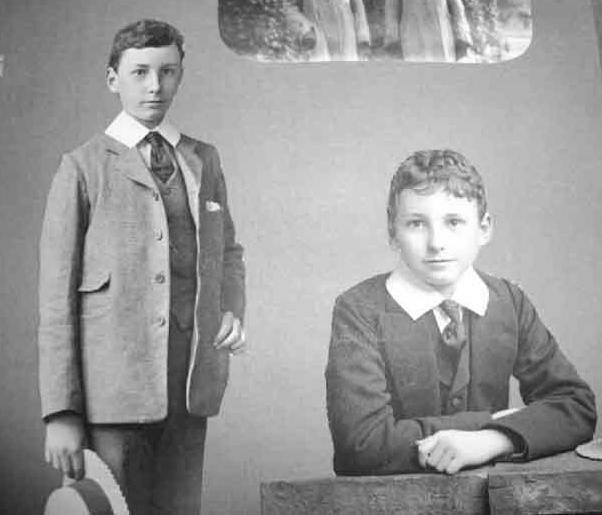 Wide spread membership meant many boys and young men had gained a range of useful skills from field-craft and camp cooking to signalling and sailing. 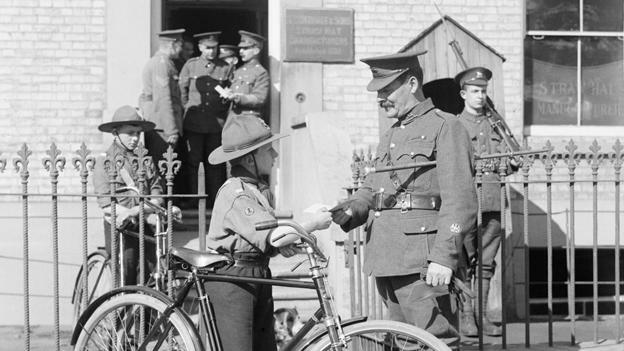 The fine prospects of a grand Scouting year in 1914 were darkened by the outbreak of war in August. What would happen to this young movement? Many thought it would collapse, but it was not so. Our Scouts were used to guard railway lines and tunnels. They acted as messengers, and “all-clear” buglers in air raids, as well as doing countless other jobs in hospitals, canteens and out on the farms. One of the first roles that Scouts undertook was supporting the Coastguard. The fear of invasion by Germany was a very real threat so watching the coast, ports and estuaries was crucial work. Scouts were supervised by the coastguard but under the orders of their Patrol Leaders and were responsible for their own activities and actions. This was a very practical example of one of Scouting’s core practices, giving boys independence. 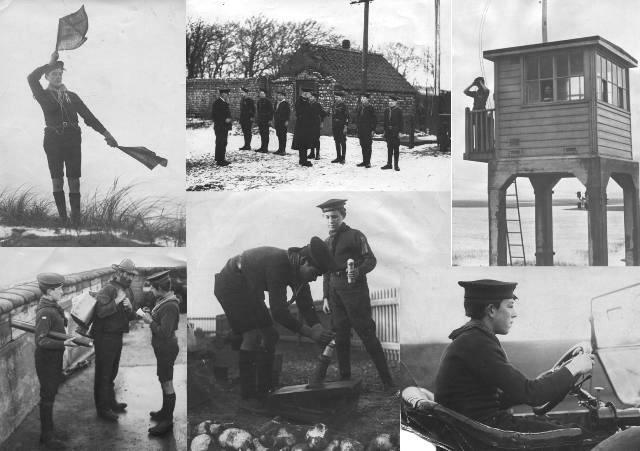 As the photos below show activities included coast watching, sending signals and delivering messages. The Scouts weren’t paid but received a basic subsistence allowance. At first this work was undertaken by Sea Scouts who specialised in water based activities, however, as word spread other Scout groups volunteered to take part. Boy scouts helped out with many jobs on the home front, this scout is delivering important messages for the War Office. 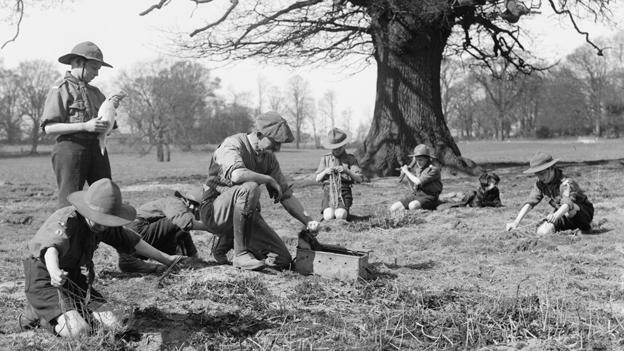 During World War One food was scarce and these boy scouts are ‘doing their bit’ by helping to set rabbit traps. Boys helped with the heavy work on farms, as well as with growing vegetables in gardens, back yards and even parks. Scouts watched the skies for Zeppelin attacks and sounded their bugles to signal when an air raid was over. 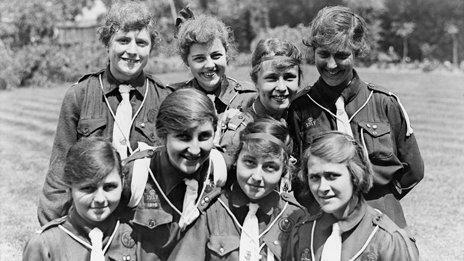 Some reports say that Girl Guides carried messages for MI5, the British Secret Service, during the war years. The story goes that Boy Scouts were MI5’s first choice for this work, but they turned out to be too naughty and too talkative! Britain’s secret agents turned to the Girl Guides for help instead. Girl Guides carried important messages and helped deliver milk. Guides also parcelled up clothing, such as knitwear, to be sent to soldiers at the Front. Guides learned first aid so they could help with injuries. Guides in Scotland collected sphagnum moss, which was used to cover and treat war wounds. One 1917 newsreel shows Girl Guides marching in the street. Another shows them learning to send messages using small flags. The film goes on to show Girl Guides learning how to use a stretcher to carry an injured person. Millions of wound dressings made from Sphagnum, or ‘bog moss’, were used during World War I (1914-1918). Dried Sphagnum can absorb up to twenty times its own volume of liquids, such as blood, pus, or antiseptic solution, and promotes antisepsis. Sphagnum was thus superior to inert cotton wool dressings (pure cellulose), the raw material for which was expensive and increasingly being commandeered for the manufacture of explosives. Charles Walker Cathcart, an Edinburgh surgeon, organised collections of the moss throughout Scotland, and centres for its cleaning and preparation. Most collecting was done by women and children (often boy scouts or girl guides) working for long hours in cold, wet bogs. Cathcart’s model soon spread to Ireland and to areas in England, such as Dartmoor, where bog moss was abundant. Images of Bob at the age of 15. After just a few weeks of the war, he had gained a gallantry honour, being Mentioned in Dispatches by the Commander in Chief, Sir John French. While out on patrol in the notorious Ypres salient in Belgium in October – just eight weeks after the war began – he was shot by a German sniper, and on the 30th of that month, he died from his injuries. 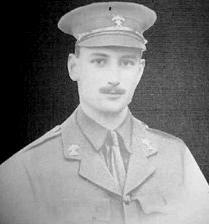 Musgrave Cazenove ‘Bob’ Wroughton, at 22, not long before he was killed at the front.